Over the last few weeks, Google released a set of interesting new features for both Drive mobile apps and Google Plus. Here is a brief overview of the new features that have been added to mobile Drive. And in case you haven’t already done it, it is advisable that you complete a simple Security Checkup to ensure that your Google account is fully protected. Drive Android app made it super easy for file recipients to request access from file owners with a single tap. When a recipient asks for access to a shared filed, the owner gets an instant notification of the request. 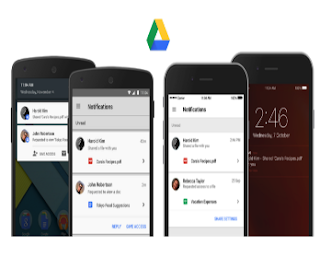 With this new update, users who don’t have a Google account can view shared files on Android.